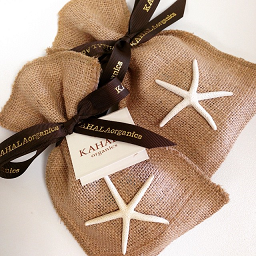 Kahala Fruit Tea (Edible Tea for Beauty) 20g in a stand-up zip pack with Jute bag. 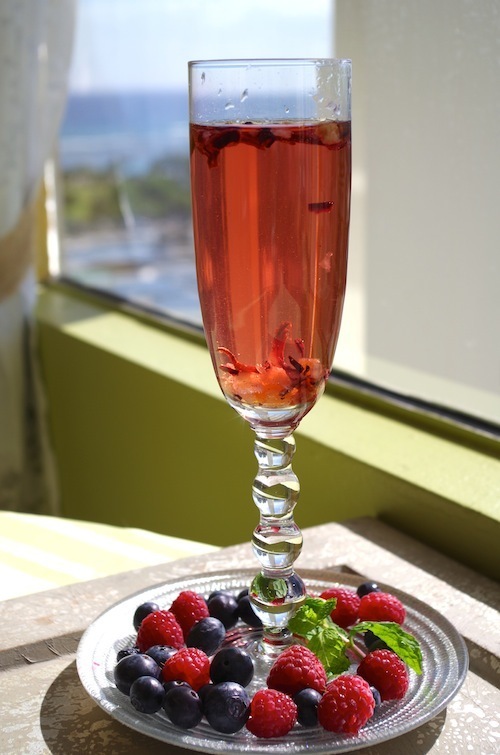 This sweet ruby-red tea delivers unique flavor and potential health benefits by blending tropical flavor of Organic Hibiscus flower, dried fruits and Natural Hawaiian Herb(Ko’oko’olau); known to prevent strokes, control diabetes, and promote good overall health. This caffeine free tea is a natural source of Vitamin A and E, minerals, fiber, iron, β carotene, calcium, Lycopene, and citric acid. The tea tastes great hot or cold, and is all edible, so enjoy eating the whole tea! Potential benefits: promotes skin metabolism, skin-lightening, the immune system, helps cleanse the system, helps prevent strokes, diabetes, aids in hormone balance, menstrualirregularity, anti-aging, and supplementation of vitamins. Instructions: Place 1 to 2tsp per cup and add hot water. Wait a few minutes, stirring occasionally until fruit is soft. To make iced tea, brew first with hot water, and then let it cool.